Cerium helps Incyte Diagnostics achieve more efficient communication and processes with Cisco UC. Incyte Diagnostics provides anatomic pathology services to physicians’ offices throughout the Northwest. Additionally, Incyte contracts with hospitals to provide laboratory medical directorship and consultative services. Incyte believes in a collaborative approach to patient care, centered on outstanding quality diagnostics, and service to the medical community. Founded in 1957 by pathologists, Incyte has conveniently located facilities throughout Washington in Bellevue, Spokane Valley, Walla Walla, and Yakima. Incyte currently employs 233 employees, including 43 pathologists covering multiple specialty fields, including dermatopathology, gastrointestinal pathology, gynecologic pathology, hematopathology, oral and maxillofacial pathology, renal pathology, and urologic pathology. Their dedicated pathologists come from the nation’s leading medical institutions and boast board certification and advanced subspecialty training. 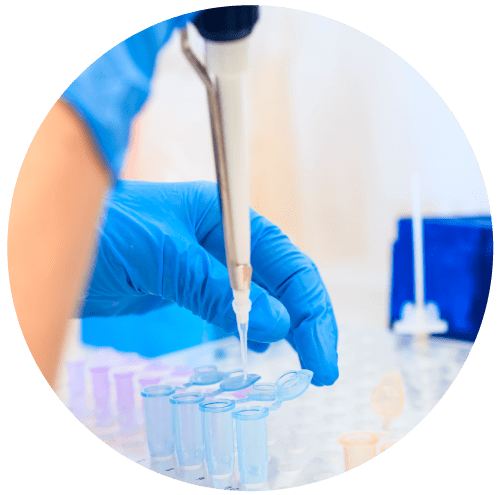 As a leader in their field, it is important at Incyte Diagnostics to combine expert interpretation of laboratory findings with the latest technology to deliver the best results for clinicians and their patients. Incyte’s adherence to this practice has enhanced accuracy, created efficiencies, and ultimately detects diseases earlier. Incyte improves patient outcomes and physician satisfaction and retention through innovation. Partnering with hospital administration, Incyte medical directors share new approaches to continuous quality improvement, cost-effective diagnostic testing and improved outcomes for hospital staff and patients. Incyte Diagnostics, in their continued pursuit of excellence, and a requirement for a solid and reliable communications to doctors and other healthcare professionals, had a need to replace their failing and aged phone system. They had disparate systems across multiple locations, some of which were beyond end of life and end of support. Incyte had a small call center for answering patient calls regarding billing inquiries. Customers wanting to make payments by credit card were largely inconvenienced, as the system had an inability to forward calls to the third party credit card processing company. Instead, customers would hear a voice message with a number to call for credit card payment, and they had to hang up and dial the processing company directly. Incyte needed expandability. Two weeks prior to the eventual migration to their new phone system, they had used their last port on their Spokane Avaya system. Incyte put their communications requirements out to RFP and ultimately chose a Cisco UC solution from Cerium. They wanted a single system with 4-digit dialing throughout the practice and covering all four of their locations. This proved challenging to some of the RFP respondents. Some of the competing vendors offered older equipment solutions at a higher price point. Incyte also considered the expertise of their internal technical resources in the evaluation of all proposals. Their engineer had Cisco network experience, and this factored into manufacturer selection. Perhaps the single largest factor in the final selection of solutions, for Incyte, was reliability. “We are very value-based and conservative. We didn’t want innovation in our communications system. We wanted solid and reliable. We need reliability of service for the medical industry. When a surgeon needs to reach our doctors, the phone system just needs to work,” said Sean Rowe, IT Director for Incyte Diagnostics. Sean had evaluated solutions from multiple manufacturers, and their reliability statistics weighed heavily on solution selection. Cerium was selected not only for price and overall proposal presentation, but also because our solution addressed the challenges and limitations of the existing system, and met their current and forward reaching communications goals. The competing vendors struggled with meeting all of the requirements. However, the relationship between Cerium and Incyte did not initiate from the RFP. Cerium had been providing support services for Incyte’s old Avaya system in Spokane. Additionally, Cerium Account Manager Jeff Lynch was able to find refurbished replacement phones for Incyte, on an as-needed basis. This ability to support the old technology, in addition to providing the best solution for Incyte’s new system, went a long way in the final decision to award Cerium with the new UC contract. A large selling point for Incyte in the selection of the Cisco UC solution that Cerium proposed, was the availability of service and support at all Incyte locations. 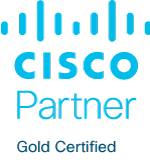 Cerium, being a Cisco Gold certified partner with Master Specialized status in Collaboration and Security, and Advanced Specialized status in Data Center and Enterprise Networks, was well qualified to address both the implementation and the ongoing support. Cerium offers 24/7/365 support through our Cerium Support Center and has some of the most highly certified and capable engineers in the industry. We have a proven track record of customer satisfaction, not only in the industry, but with Incyte Diagnostics. Cerium implemented a new unified communications (UC) platform, built on the Cisco Business Edition 6000 (BE6000). The Cisco BE6000 solution provides Incyte employees with a full range of collaboration tools: premium voice, unified messaging, instant messaging and presence, conferencing, video collaboration, contact center services, mobility capabilities, and more. These tools were designed to boost productivity and strengthen relationships with customers and business partners. Additionally, Cerium deployed SIP trunking at the Incyte’s Spokane and Bellevue locations, as a replacement for their pre-existing PRI services. Cerium designed the new solution so that the Bellevue, Walla Walla, and Yakima locations would each have survivable gateways if there was to be an interruption to the wide area network (WAN) that inter-connected these locations. The new Cisco UC solution was implemented over a phased strategy, with deployment one location at a time. Cerium ported all phone numbers to the new system and staged and installed equipment at all locations. Cerium was then on site for the Spokane cutover, which is a high availability site, and provided remote support for the other locations. All cutovers occurred on Friday evenings “with pizza” adds Sean. Cerium conducted onsite training at Incyte’s Spokane and Bellevue locations, and through a train-the-trainer approach, Incyte was able to train the staff at the other sites. Cerium’s training included a knowledge transfer for Incyte IT staff. The initial comment from Incyte end-users was that the system had great ease of use. The implementation was also very smooth. Incyte’s president commented that he only knew the new system was in place because there was a new phone on his desk—and he picked it up and it worked. Jeff Lynch (Cerium Account Executive) is the face of Cerium for us. If something goes wrong, I’m able to pick up the phone and reach out to Jeff.